April 11, 2019, 11:00 a.m. to 1:00 p.m. Please join us for our April Monthly Meeting to learn about "Multiple Myeloma". This presentation will highlight current thinking in multiple myeloma that supports clonal evolution and discuss its potential impact on clinical decisions. It will also cover treatment sequencing and the importance of duration of therapy. Online registration is easier than ever! You can register online whether you are paying by credit card or planning to pay later or sending a check - just click on the "Register Now" button below. 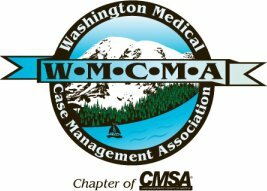 You can also call the WMCMA office at (425) 329-9456 or email contactWMCMA@gmail.com to register. Reservations must be prepaid or guaranteed by check, VISA, Mastercard, AMEX, or Discover. Registration deadline is Monday, April 8, 2019. Please help us by registering early so we have an accurate count for room space and lunches. The cancellation deadline for this event is Monday, April 8, 2019. Questions? Contact us at joselynh.wmcma@gmail.com or contactwmcma@gmail.com.